Let me start off by saying that I don’t like double buggies, which should make this review of the new Mountain Buggy Nano Duo double buggy doubly interesting. I live in a European city with doorways made for hobbits and elevators you’re too heavy for after a morning croissant. The streets are Smart Car-sized and the sidewalks can be as thin as the French girls walking them. 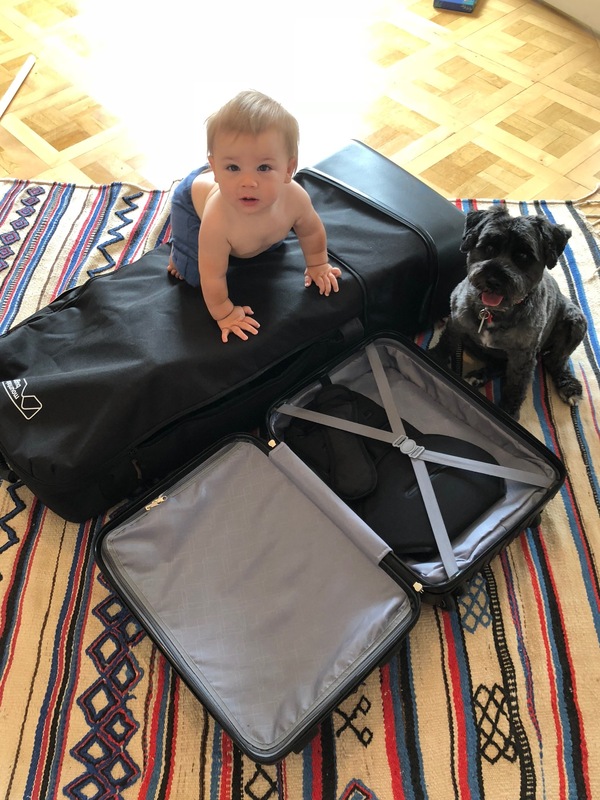 We travel…a lot, and whatever restraining device we put our 3 and 1-year-olds in needs to be quick to fold down, easy to pack away and get my minions from point A to point B without one of them trying to make a jailbreak. Surprisingly narrow – At just 73cm/29in wide the Mountain Buggy Nano Duo is only a few inches wider than some single strollers on the market. I was able to get it through every doorway I tried and in every tiny elevator I encountered. 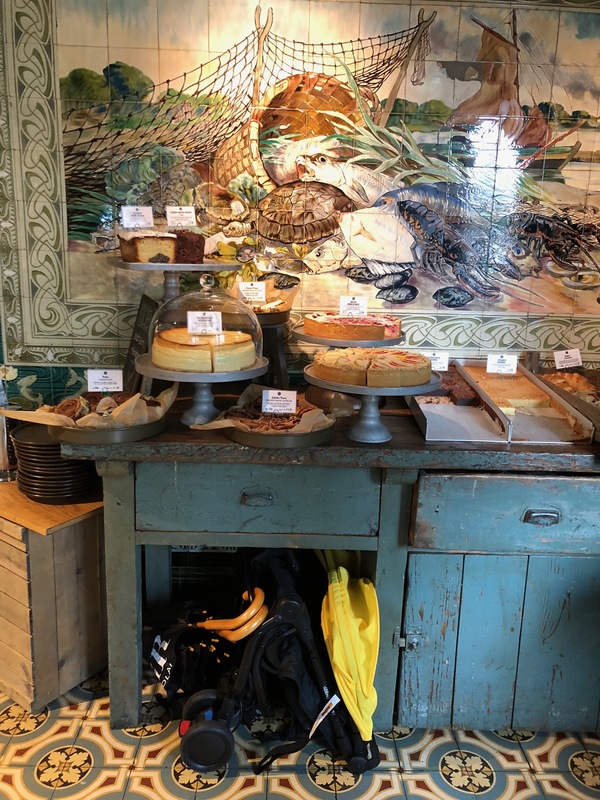 Slim fold – It folds down super small, which made the nerve-racking fold-and-stash task less worrisome at restaurants, and also made it really easy to find a spot for it in our city apartment. Lightweight – At 9kg/20lbs it’s decently lightweight. Even with two kids in the seats, I was able to push it uphill without getting ugly sweaty. 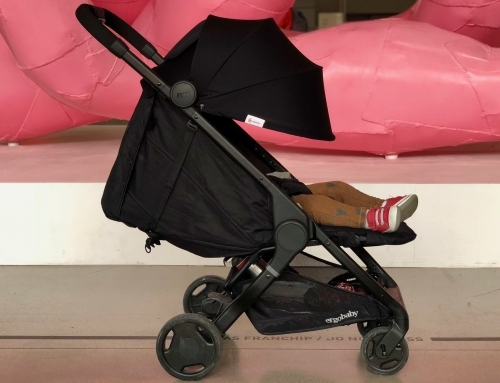 Baby cocoon + toddler seat configuration – One of my favorite aspects of the Mountain Buggy Nano Duo is the ability to see the baby easily in the newborn cocoon while still having the toddler seat facing forward. Something many double stroller configurations don’t allow. Big basket – I’m pretty sure there’s enough room in the underneath basket to fit a third kid or at least a small dog. It’s seriously big down there, something no mom wants to hear about her own undercarriage but is happy to hear about their under pram storage. 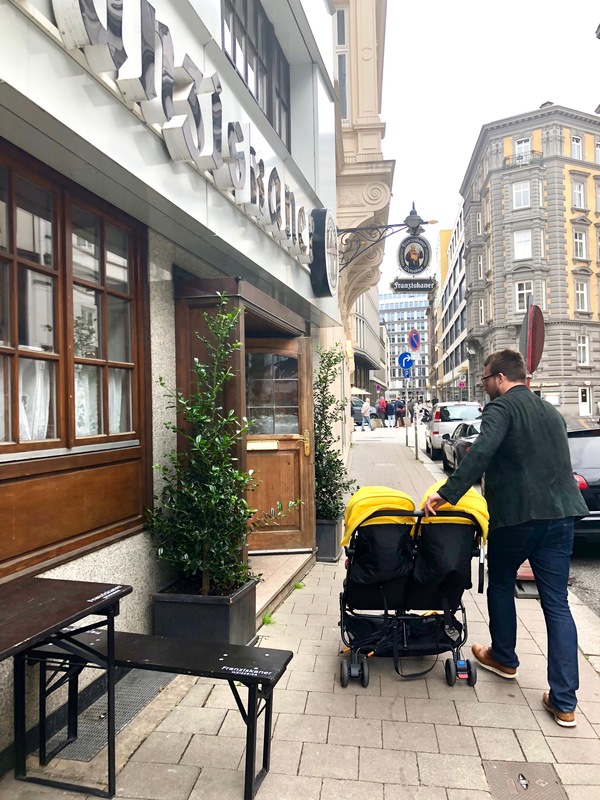 Curb-friendly – Unlike other double buggies, which you can’t pop over a pebble, the Mountain Buggy Nano Duo easily took on curbs of all heights with no problem. Travel bag – A travel bag that isn’t the size of a large SUV and sturdy enough to protect the stroller is key for us. 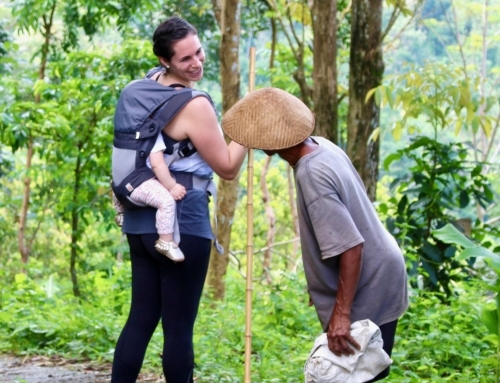 The Mountain Buggy Travel Bag accomplished that perfectly. 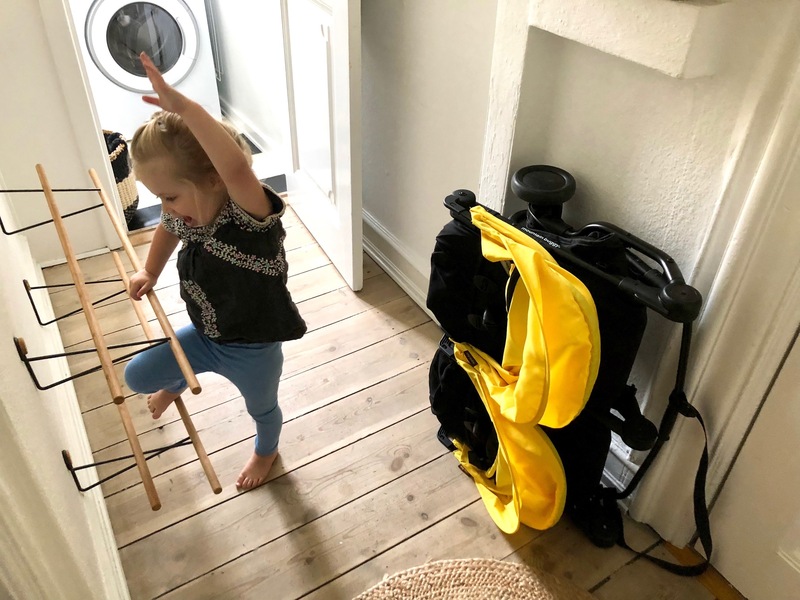 Foot break – Equally important to how easily a stroller pushes is how easily it breaks, and the Mountain Buggy Nano Duo large foot break gets a thumbs up from me. 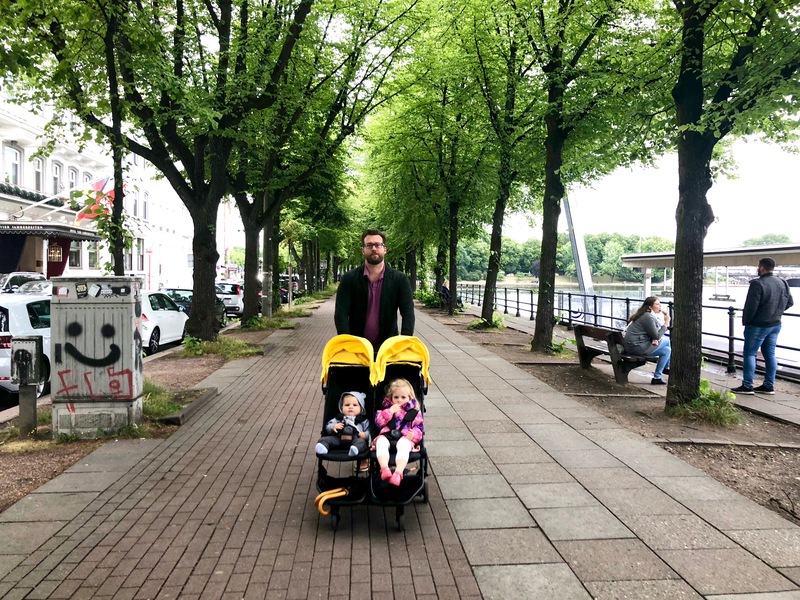 Nap friendly – with the solid recline and adjustable leg rest it was legitimately comfy for a snooze for both my kiddos, which makes for happy parents. Shelf life – Each seat can take a maximum weight of 15kg/33lbs. This means it would be perfect for twins or a 2-year gap with a baby and young toddler, but once the kids are 3 and 1 years old like mine, they start to age out of it weight wise. Stair unfriendly – Trying to lift the stroller up even the fewest of stairs by myself with kids in it was basically impossible. This is something that isn’t specific to the Mountain Buggy Nano Duo, but generally a double stroller issue. 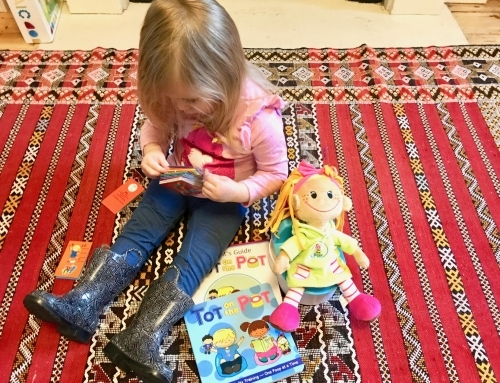 No car seat adaptors – with no car seat adaptor you can’t just pop a car seat into the buggy and be on your way. The baby cocoon (sold separately) has to be used for newborns until they’re able to sit facing forward around the 6-month marker. 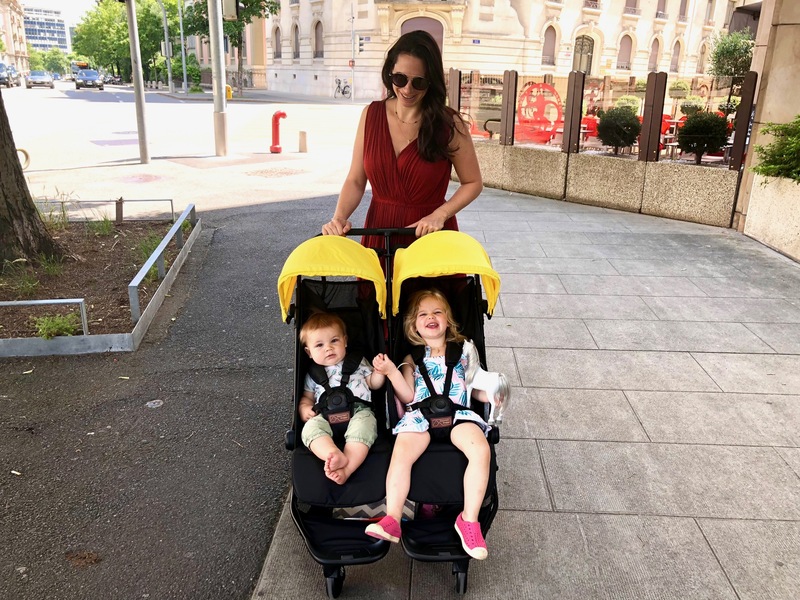 So did the Mountain Buggy Nano Duo convert me to being a double stroller lover? The answer: Kind of. 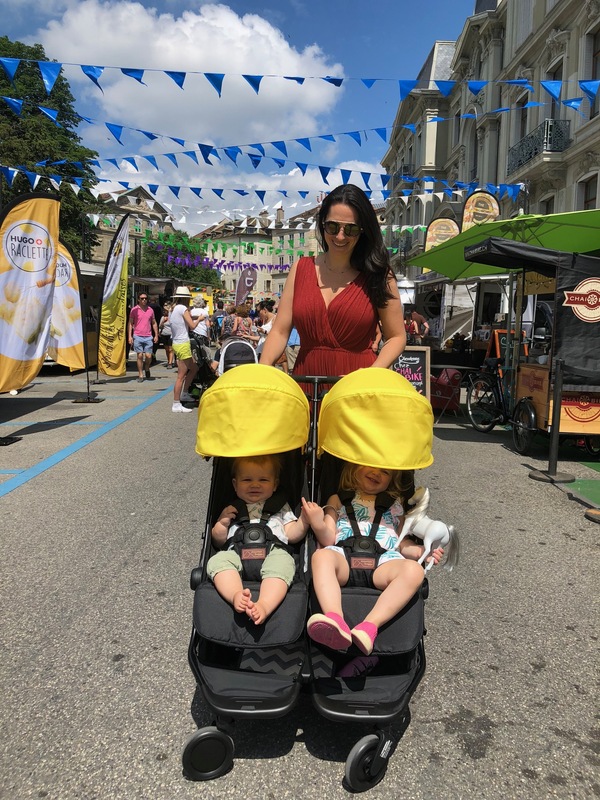 Realistically, there are not a lot of great options out there for quality double strollers, which leaves many mamas at their wit’s end when trying to find a good solution for those early days of two tiny tots. What people don’t realize about their single strollers that convert to doubles, such as the Uppababy Vista or Bugaboo Donkey, is that they’re heavy AF. 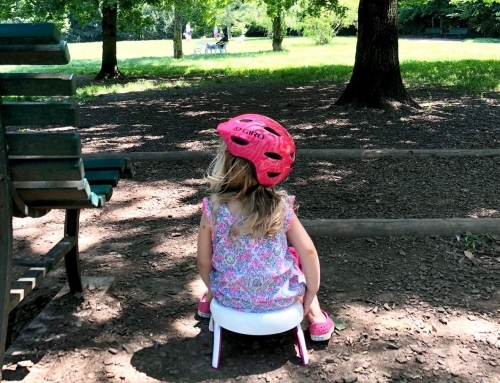 Just the frame and double seats alone bring those puppies to 19kg/42lbs, then add a 30lb toddler and 15lb baby and you have a sweat mustache while reading this before you’ve even attempted to push it up the smallest of hills. So the new Mountain Buggy Nano Duo is kind of in a league of its own. 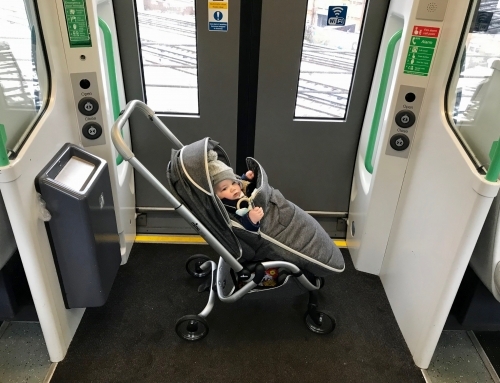 It’s lightweight, narrow, stashable and has a great configuration for a baby + toddler or twins. You could throw it in the back of a car without throwing out your back or hide it in a city apartment without losing important real estate. 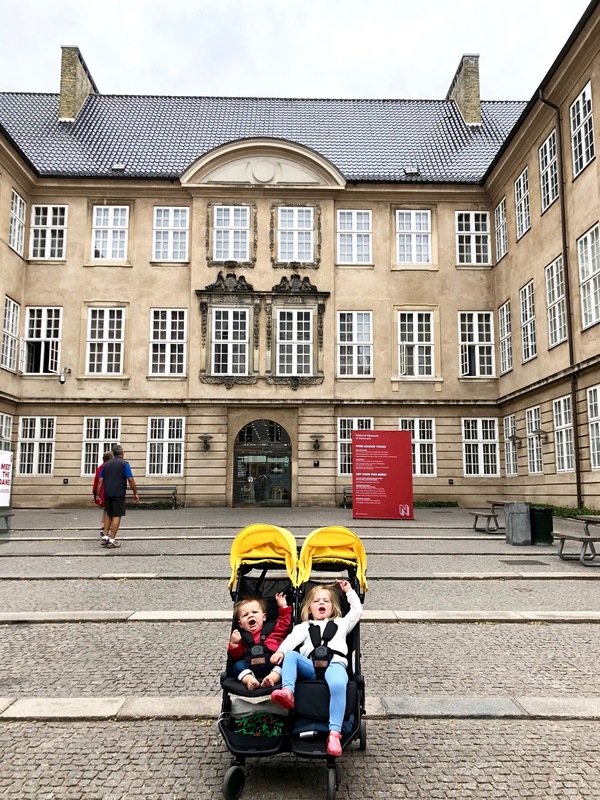 The kids were both comfortable and I wasn’t embarrassed by my stroller footprint while on the European sidewalks of Copenhagen, Geneva, and Hamburg. The Mountain Buggy Nano Duo double stroller is best for the first year of having two under two or for the first 3 years of twins. With a baby and a 2-year-old, you’ll get a solid year out of this puppy and it’ll be your lifeline that you can’t live without. Or if you have twins, this will be perfect and have a longer lifespan than your patience #becausetwins. So why the “kind of” answer from me? Truthfully, I think I’ve aged out of the stroller with my now 3 and 1-year-old. I wish I had it for that first year of two under two though, it would have been perfect. 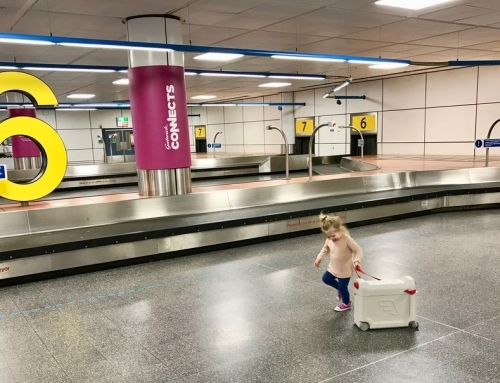 But now at 3 and 1, the 3-year-old is getting too heavy for it and, like the trained monkey she is, she has learned to sit on a buggy board while her brother gets the solo buggy seat. That being said, even knowing that I’d only get a year out of the stroller wouldn’t have dissuaded me from getting it had it existed when my second was born. All in all, as far as double strollers go, I was quite impressed with the Mountain Buggy Nano Duo. It had enough features to make it worth the money and left enough out to make it lightweight and maneuverable. 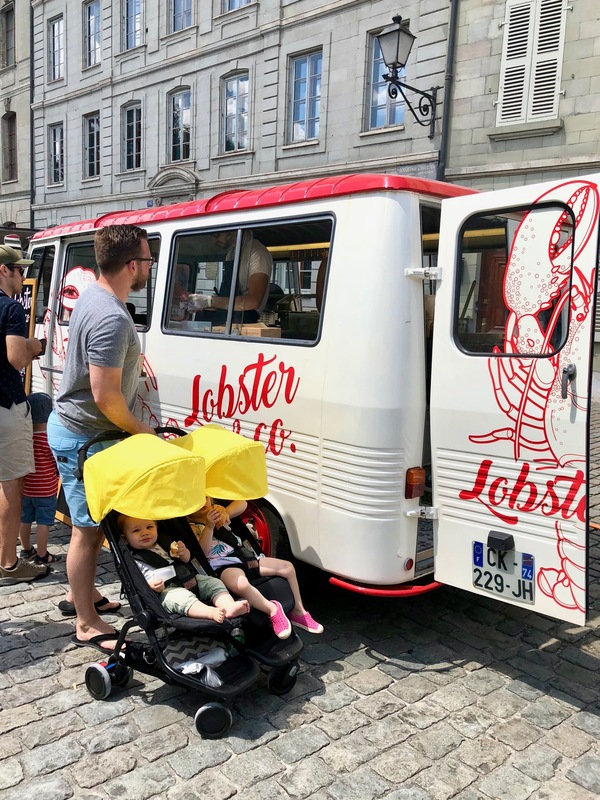 I’d totally recommend this for twins or two under two, for everyone from city parents on sidewalks to suburban parents in need of foldable car-friendly prams. It gets two thumbs up from a mom with two kids and no free thumbs! Thanks to Mountain Buggy for sending the new Mountain Buggy Nano Duo for me to review as well as the Bagrider and Travel Bag in the video below. I like what you’re throwing down my friend, well done. For more product reviews head over to our Products page for more sassy and truthful takes on the industries latest and greatest baby gear.